All programs here have been created by Denise Linn. 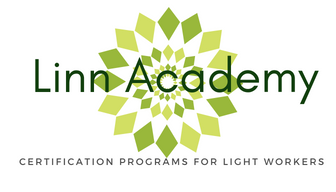 Some of The Linn Academy Programs are still taught by Denise Linn, as in person events or via online certification. Other programs are taught by her Trainers or Master Teachers who have been specifically trained and now authorized to offer these certifications. Are you already a graduate of one or more of these certification programs? Soul Coaching is a very special life coaching program designed to help you remove self limiting thoughts and enhance joy in your life. You discover what your soul wants you to know, and the Soul loves the truth. Soul Coaching Practitioners are trained in a very special process to allow your to hear the wisdom of your own soul, and have numerous programs and processes to allow you to discover your best life! Interior Alignment Feng Shui and Space Clearing is a comprehensive system of working with the energy of your home or office. Our system honors indigenous methods of creating healing and sacred space for your life from around the world. We use the bagua, and acknowledge that energy patterns are different in the northern and southern hemisphere and adjust it accordingly. We have our own very special advanced method of Medicine Wheel feng shui that aligns with the four elements and the cardinal direction of nature to understand your home. Our system aligns your outer world to your inner dreams and goals. Elemental Space Clearing (also taught as Essential Space Clearing in Europe) is a specific, beautiful and powerful system of space clearing that uses essential oils and mudras as a cornerstone of the process. 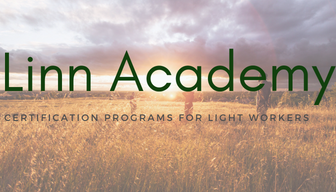 This certification is a part of the Interior Alignment system, but this certification can be obtained through an online program with Denise Linn through Hay House. Soul Coaching Oracle Card Reading is a powerful and in-depth oracle card certification program. It’s taught using the Soul Coaching Oracle card deck, but the principals can then be used to connect with, understand at a deep level, and work with any deck that you wish. This course steps you into becoming the oracle in all ways, through setting up your reading space, connecting with your tools, and even through the creation of your own deck for your most powerful work. Gateway Dreamer Coaching program is a life changing programs that allows one to master the world of dream-time. It is much more than a dream interpretation program. Our graduates have learn how to help you sleep better, dream better, program your dreams, and teach you how to interpret your dreams for your benefit. Linn Method Certified Clutter Coaches have been trained to not only help you hands on release clutter but deal with the issues that are why clutter occurred in the first place. Much more than professional organizations, our graduate assist you in understanding your connection to the things around you, and help you release their hold on you and your life. 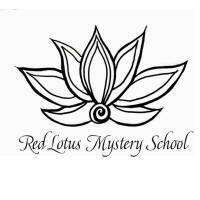 Red Lotus Mystery School graduates are chalice carriers, trained in providing coaching and ceremony, workshops and events to assist you to ignite the feminine power of receptivity and creativity in your life. Trained in guided journey work, they can assist you in finding your work inner goddess. They also can provide ceremony for the many milestones in life, that are sometime unacknowledged.